Due to the overwhelming response to both Simply the Best and Simply the Best People, we decided to delay the start of this competition until May 15. This will allow us more time to promote it and will allow our staff to focus specifically on this competition. 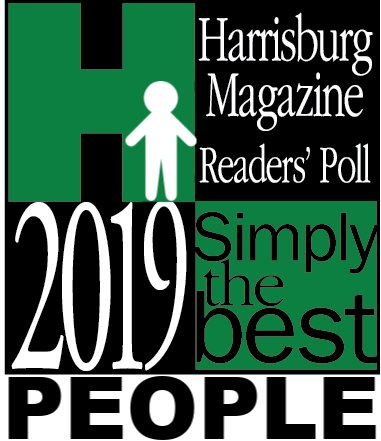 Harrisburg Magazine’s first People Edition of Simply the Best begins May 15, 2019. And we are looking for sponsors. This competition focuses on people, rather than businesses. If you think of Simply the Best as being like an Oscar for Best Motion Picture, Simply the Best People would be like the Oscar for Best Director or Best Actor. It’s an individual award rather than an award for the business. And we are looking for businesses to sponsor categories. Right now, we have a list of about 60 potential awards. But if we don’t have enough sponsors, we will have to reduce that down. 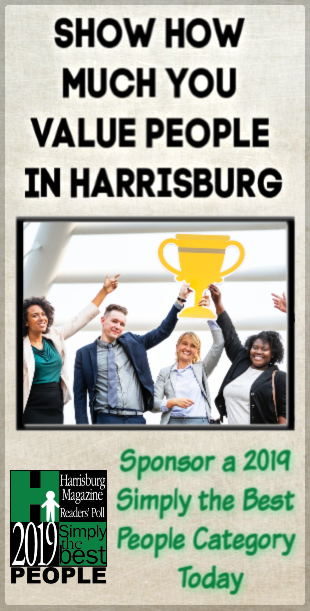 You can sponsor a category you think one of your employees might win (such as Best Bartender) or not (such as Best Teacher). It’s up to you. If you’re ready to purchase a sponsorship, we’ve set up an online store. If you would like to be contacted by a salesperson, have questions or concerns, you can use this online form. We also have a form to allow for early nomination. (This won’t count toward votes but will allow us to get people on the ballot when the voting begins). This is a write-in ballot, which means people can vote for someone on the ballot or write in their own submission. Write in names will be added to the ballot after being approved (hopefully, within 24 hours). We created a “test” ballot that you can check out. Obviously, the categories and submissions are not the same as what will be on the actual ballot. The actual ballot–which is not finalized yet–can be found here. Voting is from March 1 through April 14. You can vote once per day per category. Why do you need sponsors? Competitions like these take a lot of resources. Without sponsors, we would have to limit the categories to only a handful. And we are hoping to honor as many people as we can. Categories without sponsors may get eliminated at any time during the competition. I’d really like to sponsor a category, but I don’t see it. Next post: Simply the Best People is Coming May 15!